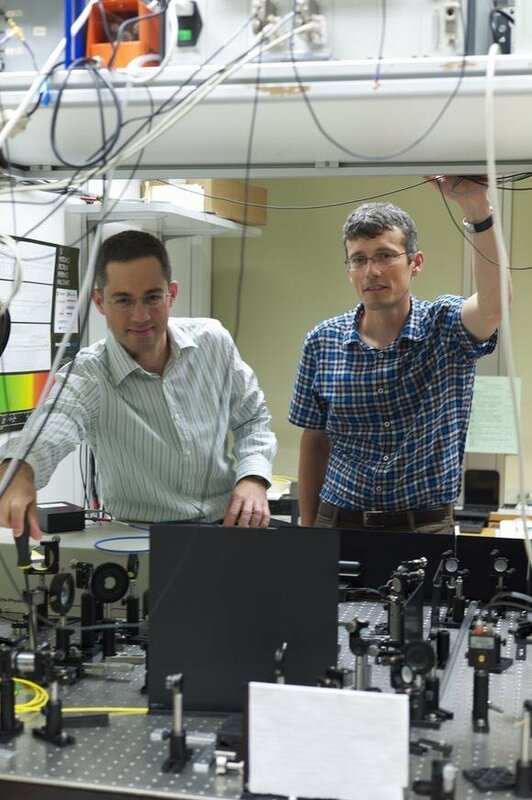 IBM Zurich scientists Matthias Walser (left) and Gian Salis have helped to discover ways to control the natural spin of electrons using magnetic forces. The discovery could lead to new ways of designing processor gates that require significantly less voltage to induce a change of state from one to zero. The technology could be used for low-energy chips and highly efficient hard disk drives. Other experiments at the research labs have also demonstrated in principle that is possible to use a single atom to store a single bit of information.